Aiming to master basic anesthesia sciences? 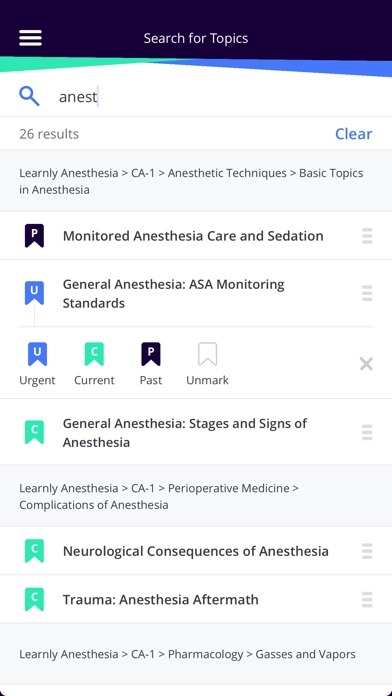 The Learnly Anesthesia app prepares medical trainees for competency in the scientific basis of clinical anesthetic practice with topics including anatomy, anesthesia equipment and monitoring, pharmacology and physiology. Powered by Firecracker, the next-generation adaptive learning platform, the app will make your study more accessible, more flexible, and most importantly, more effective. 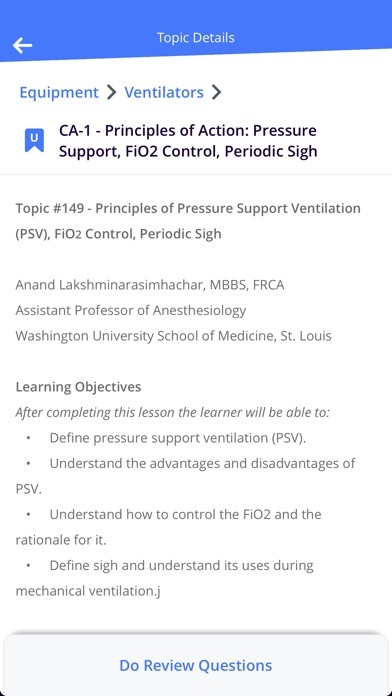 “Learnly Anesthesia” Features: MOBILE LESSONS Designed for on-the-go learning, our 196 modules cover everything you need to know on basic anesthesia sciences. 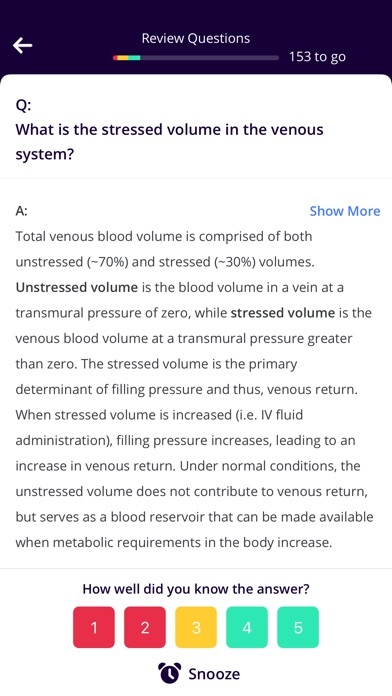 3000 QUESTIONS Assess your knowledge with 3000 high-yield questions. OPTIMIZE LEARNING Optimize your learning with our spaced repetition algorithm designed to help you recall and retain information. DAILY CASES Solve daily patient cases to boost clinical confidence SEAMLESS INTEGRATION Seamless web and mobile integration across the Firecracker platform. 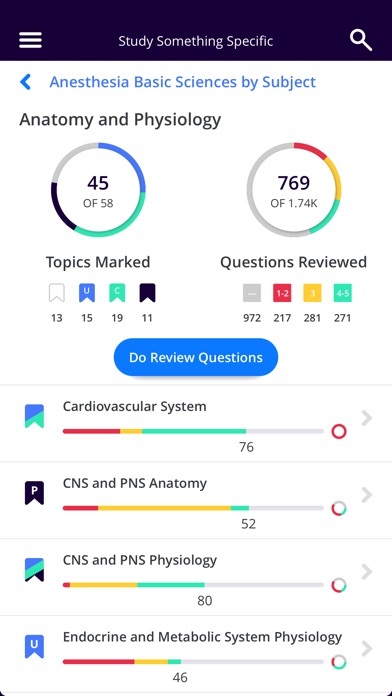 Learnly seems to be a solid curriculum that is overshadowed by how poorly it is executed through the firecracker interface on the app AND desktop. For the first month, it seemed to work pretty well with acceptable functionality, but since then, firecracker as a whole has been accruing more and more problems. What is most worrisome is that I have contacted firecracker many times over the past several months, and these issues have never been properly addressed or even acknowledged in most cases. First, I noticed that the highlighter function (desktop, feature apparently bit available on phone app) would often fail to work properly, highlighting not only what I choose, but also simultaneously highlighting unrelated information a paragraph or two below. Sometimes when I come back to review a topic, a lot of seemingly random phrases are highlighted instead of what I previously chose. Highlighting is effectively non-functional. Contacted firecracker several times; no resolution. Second, after a month of acceptable functionality, I noticed that several topics that are scheduled for months in the future would become activated, and their associated questions would be mysteriously completed. There is no way to “undo” the questions, and it is very time consuming to unmark erroneously activated topics. Contacted firecracker several times: no response, no resolution. Third, their question counter, keeping track of your daily progress does not correlate with what I’m actually completing. On days that I complete many questions it will say I only did a few or none, and on days that I do none it will often say I completed 10-80. Again, this function worked well during the first month, but has become completely broken. Contacted them about this as well; no response, no resolution. Most recently, I’ve gotten a few weeks behind on topics due to grueling work schedules, but I noticed that most of the daily topics and associated questions would still be completed. I only use my phone app and my personal computer that only I use, but it seems that someone else is mysteriously completing (or partially completing) the daily tasks. This used to happen only on occasion, but this has been nearly a daily occurrence for the past month. 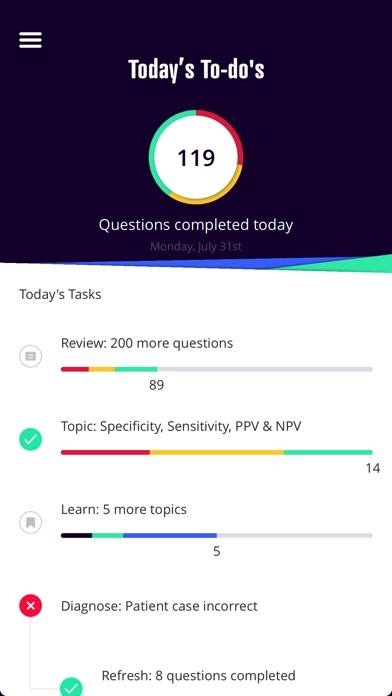 Not only does this make it difficult to keep track of what I need to complete, but it is now impossible to review effectively with their daily review questions, since the question pool is full of erroneously marked questions. Once again, contacted firecracker many times: no response, no hint of a forthcoming solution. Lastly, I am extremely disappointed with firecracker’s lack of response to customer feedback or question. I have only received “assistance” with the highlighter issue over a month after I contacted them. After clearing cookies and caches on their advice, the problem still persists. They asked some more questions about the issue, I answered them, and I never heard from them again. They have never acknowledged any of the other issues. As far as I can tell, no one has even read any of the messages i sent regarding the other issues. After speaking with many colleagues, it seems that this lack of support is universal for all of their courses. Again, the Learnly Anesthesia material itself seems solid. It is the only benefit left in this app. Given firecracker’s non-functioning highlighting, the inability to keep on track with the daily curriculum, and inability to keep track of imported questions (ruining any chance of effective “spaced-repetition” review), and lack of customer support, the Learnly material would be much better off as a printed hard-copy. That way, I could at least highlight what I want, and it would be easy enough to do one new topic a day on my own. As it stands, I cannot recommend firecracker. If the Learnly Anesthesia material were available elsewhere, I would send them there. Overall this app is a C.
Using firecracker to study anesthesia. Editors respond quickly, but not sure how that translates to content updates.